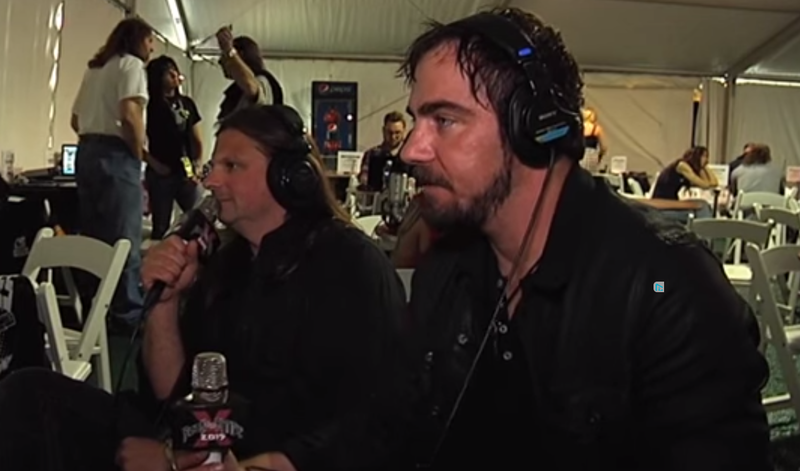 Saint Asonia's Adam Gontier (ex-Three Days Grace) and guitarist Mike Mushok (also guitarist of Staind) were interviewed at Rock On The Range. You can read some excerpts below. Adam Gontier said: "Basically, when I left my old band, Mike was one of the first guys to reach out and say, 'Hey.' Mike's always writing music and that sort of thing, and I just basically asked if he wanted to get together and do some writing, and so we did. And we didn't really have the intention of necessarily creating a band or making a record or anything like that; it was just to get together and just creatively make some music. It turned out the writing process went really well, we wrote fifteen songs, and we made a record and here are we. We've got a band." Mike Mushok talked about debut album: "I'm super proud of the way the record came out. I think it definitely exceeded what we were trying to accomplish; we definitely did it. I mean, the record kind of runs the gamut, there's some pretty heavy stuff, and there's a couple of songs on there that are just beautiful songs." Click here to listen the first single from the band.